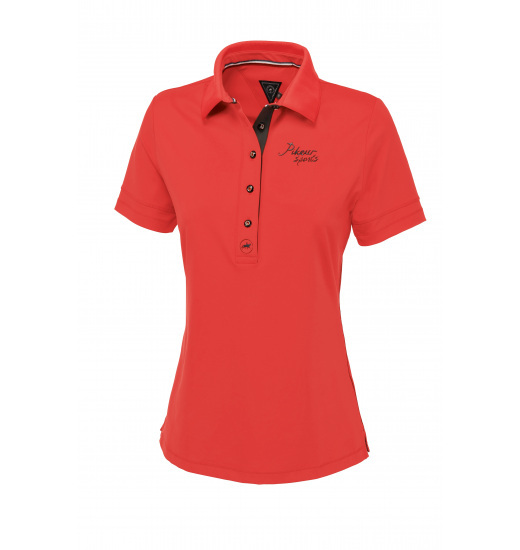 Ladies' polo shirt made of a very nice to touch, delicate fabric that's elastic and breathable. 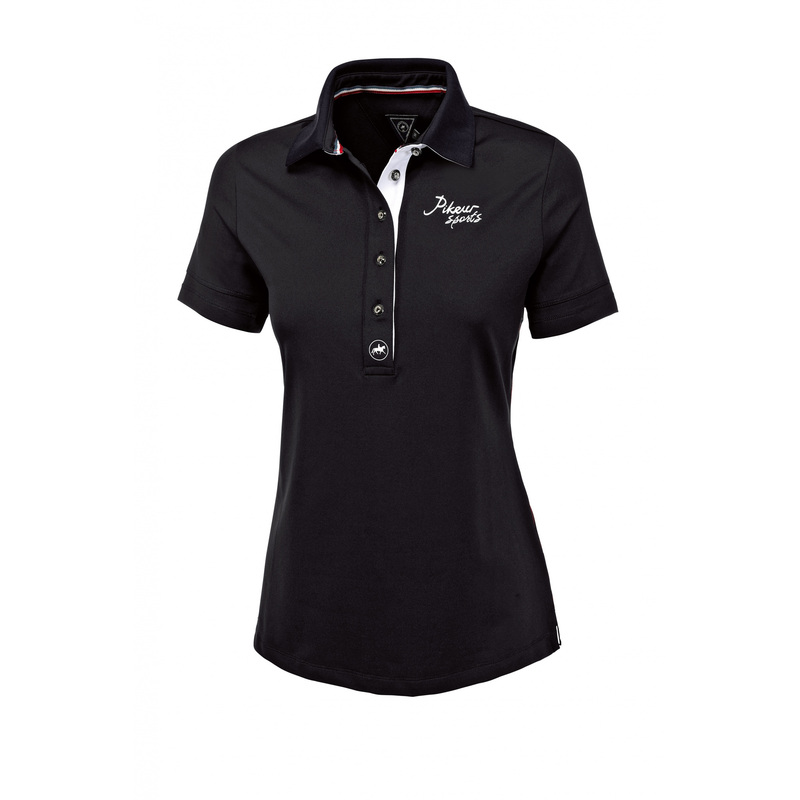 Its sporty cut nicely fit to the body. 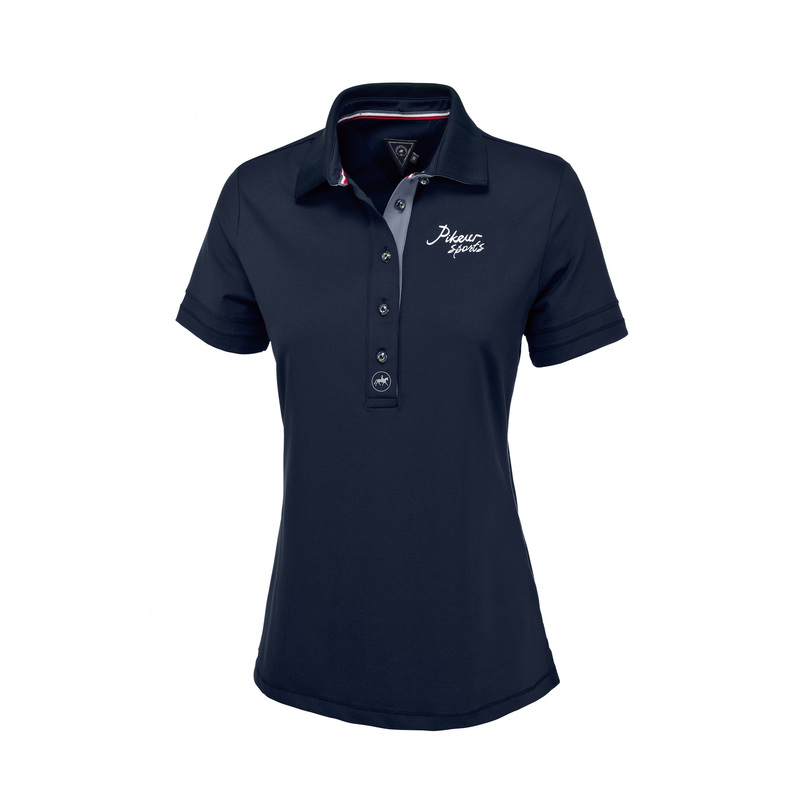 The shirt is decorated with a Pikeur Sports writing on the chest and a small logo with a horse on the fastening.